zZounds is an authorized dealer of EMG products. 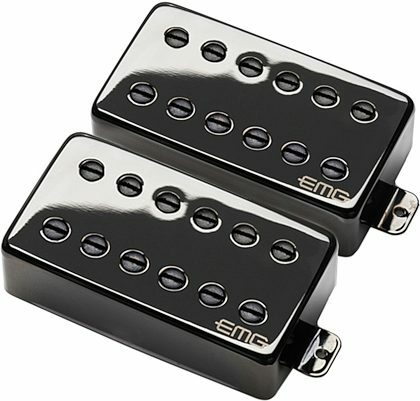 - All EMG-Passive Pickups are compatible with each other. The connector system is an easy method of installation, avoiding the need to solder. EMG Accessory Circuits like the VLPF, EXG, SPC or RPC Controls can be added to any EMG Passive System. All EMG Accessory circuits have buffered inputs and can be used on either passive or active pickups. SPECIAL NOTE: The Red Wire of the HZ Pickup is NOT for battery power, it is a coil wire.